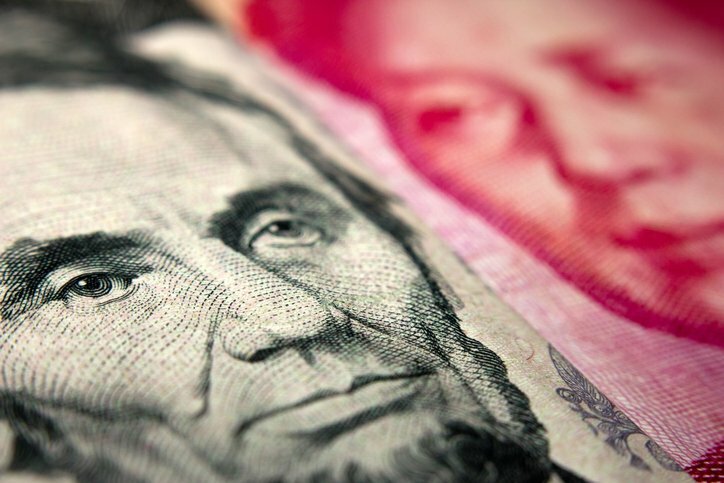 The Trump Administration plans to impose import tariffs on $200 billion worth of Chinese goods later this month, including products in the data center and telecommunications space. The tariffs, part of a deepening rift between the world's two largest economies, will start at 10 percent and rise to 25 percent next year. Around half of all goods China sells to the US are thought to be included. Steve Koenig, senior director of market research at the US Consumer Technology Association, told China Daily: "Companies large and small are determining how best to cope with the situation, which could include deferring the launch of a consumer product or the building of a data center." Ahead of the tariffs coming into force, the Information Technology and Innovation Foundation (ITIF) warned in a report: "Every American would feel the impacts of tariffs on goods that constitute key inputs to cloud computing and data services, through increased prices, jobs lost as companies make cuts or go out of business, and fewer data centers that would otherwise have brought jobs to communities across the nation." It added: "In March 2018, ITIF modeled the impact of tariffs broadly applied to US imports of ICT products from China. ITIF found that that a 10 percent tariff levied on Chinese ICT imports would slow the growth of US output by $163 billion over the next 10 years, while a 25 percent tariff would slow output by $332 billion." The full list of products caught up in the trade war is listed in a 194-page document, viewable here. An earlier version of the list was previously made available for public viewing, with companies including Cisco, Dell, HPE and Juniper Networks calling for networking and server equipment to be dropped, but they were unable to convince the US government. “By raising the cost of networking products, the proposed duties would impede the development and adoption of cloud-based services and infrastructure,” the group told trade regulators earlier this month, according to Reuters. TechNet, a trade group which includes companies like Amazon, Bloom and Oracle, claimed that tariffs on data centers would be harmful for the wider economy. CEO Linda Moore said: "Data centers are complicated supply chain projects that rely on the absolute certainty of receiving key components in a timely and cost-effective way. If critical pieces were to be held up for delivery at a later date with higher, more unpredictable costs, companies would be incentivized to make investments and create jobs in other countries where such needless uncertainty surrounding data centers does not exist. "In essence, should these tariffs be implemented, they will not only hurt the American tech sector the administration is working to protect from China’s unfair trade practices; they will hurt many more workers across various sectors whose operations rely on cloud computing and data management tools." Earlier this month, the Semiconductor Industry Association (SIA) and the SEMI trade group testified at a US International Trade Commission public hearing against the tariffs. The SIA predicts that the tariffs would impact about $3.6 billion worth of US semiconductor chip imports from China and another $2.7 billion in products related to its supply chain. SEMI said in a written statement: "We worry that these tariffs will impact US competitiveness. Costs for US semiconductor equipment companies will increase, while costs for non-US competitors will remain the same. The net impact of this trade action will be that non-US firms receive an advantage." Both groups said that they supported action against China, which they accused of discriminatory trade and unlawful IP practices, but said that tariffs were not the correct approach. Apple also lobbied against the inclusion of its products, successfully stopping tariffs being levied against its consumer devices. However, in an earnings call (transcribed by Six Colors), CEO Tim Cook noted: "It’s actually a tedious process in going through [the list of affected goods], because you not only have to analyze the revenue products, which are a bit more straightforward to analyze, but you also have to analyze the purchases that you’re making through other companies that are not related to revenue. "Maybe they’re related to data centers, and this sort of thing."